Whether you’re an expert at fishing or simply a beginner, you definitely want to be good at what you are doing. Perhaps when it comes to your fishing tactics, you may be quite happy with your results, or else, you’re left to learn it all the hard way. It may be very easy to fish like everybody else is doing at the moment, and keeping up with trends. Or you might even have your own methods for scoring a lot of fish when you’re at it. Whatever, you may be good at, you should never undermine the best fishing tricks secrets from the experts since these fishing secrets are usually tried and tested. If you’re looking for ways to improve your fishing skills or simply want to know what the experts have to say, well, follow this article and hopefully you’ll be fishing like a pro in no time. You might think that fake baits and lures might not work at all or that fish are simply cleverer. Well, think again because although it may not be as cool as using an umbrella rig on the edge of the river or even a topwater frog, you might be shocked to know that this is actually very effective when it comes to bass fishing. As seen from the best-known fisherman of his time, Larry Nixon, who is the FLW tour pro and Bassmaster Classic champion, he has actually fished with only three simple elements all his life, which include the hook, weight and a plastic worm. What this fishing champion has to say might baffle you, but you know he’s gotten it all right for sure. The first thing he suggests is that there are several techniques when it comes to using a plastic worm and that it always works as a successful bait. When using plastic worms, he also suggests using unpegged Texas rig. He thinks that plastic worms will always work only when you don’t peg it, since if the bass you try to catch gets both the hook and the sinker, then there is a high possibility of you losing the fish. If you want to sink your bait, then you will definitely peg it. However, if you simply cast a plastic worm into the water, the sinker is free to slide on the line, and giving you a higher chance to catch more fish. In case of an unpegged Texas rig, once your weight reaches the bottom, the worm is then pulled by it and starts to sink and there is then a high chance of you catching much fish. You might want to pitch your hook in the shallow water and then again cast it when you reach closer to the bank. In order for your hook to feel right in the water, you need it to have a straight shank hook. Otherwise, it won’t seem right in the water. Nixon also dislikes flipping hooks and suggests to steer clear of the big and heavy flipping hooks because, with bigger hooks, you are allowing more control to the fish that way. Instead, he uses thin wire hooks instead, such as the Gamakatsu Offset EWG Worm Hook, because the penetration is better and the gap is just right to pierce the worm. If you can successfully get a bass somewhere between the hook and the plastic, then rest assured that the fish isn’t going anywhere. A straight tail worm can be used in almost all situations. Not only do they sink very differently, but they can also be used in a variety of cases. If you’re a beginner at using worms for fishing, then Nixon advises using the Yamamoto 6.75-inch Long Pro Senko and a 5-inch Yamamoto Pro Senko. If you’re fishing in cold water, then use the small-sized worm, but if you’re fishing in the warmer water, then you can use the 6.75-inch model of the same worm. As for the curly tailed worm, these work better when there is some sort of cover in the water such as vegetation, or lily pads, brush piles and so on. One more benefit of using it in such heavily covered areas is that the fish get tricked as they look very realistic when you cast them into the water, besides that, they don’t get to see it clearly and so there’s a good chance that they will fall for it. 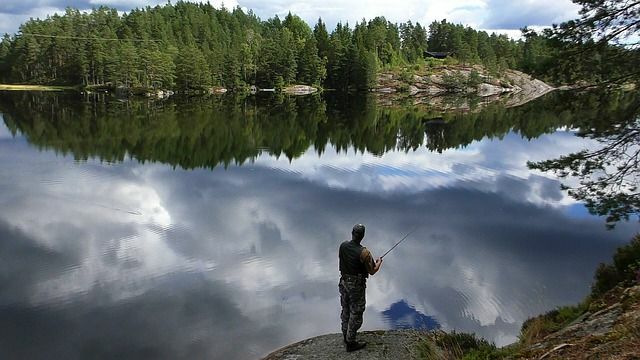 You should always use a rod that is actually suitable to handle all kinds of fishing techniques. When doing so, check for the sensitivity, as this is one factor that will let you know when your bait is bitten by a fish. On the other hand, you also need a big and solid rod that will allow you to pull out heavy baits and also giant fish out of the water that has a lot of cover and obstacles. To stay out on the safe side, you can choose a medium heavy rod that will let you work in all circumstances. Short Rods- shorter rods are definitely helpful when you decide to fish near the edge of the water, say, for instance, a 9 or 10-foot pole should work perfectly. Since shorter rods actually help the angler to stay in control, it can actually work fine if you’re near the end of the water. However, if you have a big fish in your line by any chance, then it will be quite difficult to handle it with such a short rod. Long Rods-if you want to cast your rod to a long distance, then you definitely need a longer rod. While in general, a 13-foot rod is a perfect choice for making long casts, some people actually exceed the 13-foot limit even though it’s not necessary since long rods are very easy to work with, especially when you want to cast long distances. Furthermore, don’t put too much or too little weight on your rod when casting long distances. 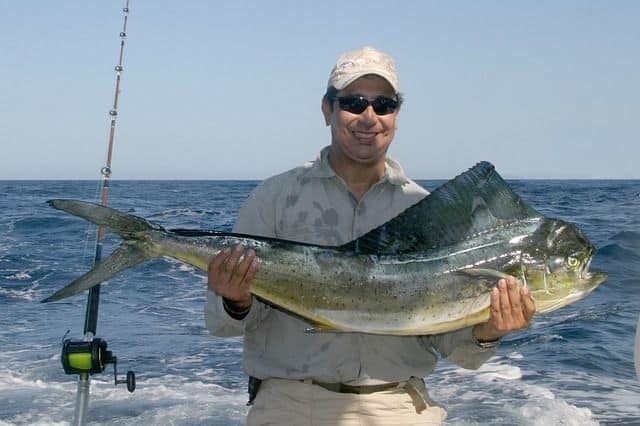 Usually, a weight of about 3 pounds should work fine as they allow the angler with more control the rod when there is a bite. Check Out Reviews Before Purchasing Your Rod- if you want to be absolutely sure that your rod will pay off your hard work, then invest in one that actually has good reviews. You might think that popular brands don’t really make much of a difference with any regular rod, but before you make your purchase, it is always best to see which one is preferred by most anglers, and expert fishermen. Besides that, also look out for any warranties or guarantees that the specific manufacturer may provide and make an informed decision when purchasing your rod. Because at the end of the day, how you perform when fishing, depends mostly on your rod. Always Carry Extra Rods, Just In Case- it is always a good idea to bring extra rods, say 2-3 more with you, when you go fishing. Sometimes you may realize that you need to work with a mixture of long rods and short rods. On other occasions, it is possible that one of your rods is letting you get more bites, while the other isn’t. at the worst case scenario, you may accidentally break your rod, and then the extra rods might come in handy. For such cases, it is always best to carry at least more than one rod so you can get over any setback should any such emergency situation occur. You might think that it doesn’t matter how fast or slow your worm sinks down into the water below, but the rate of the fall is actually very important when it comes to attracting more fish. Due to this reason, you should select the weight with the utmost care. As for the perfect rate that can help you catch more fish, you have to find that out yourself. If the fish can get too close to your worm and look at it, then there is a high chance of the fish not touching it. Since nothing about weights can be said for sure, it is better to experiment every single day and see which works better. According to Nixon, you can use a faster fall with a weight that is 5/16 or 3/8 ounce in clear water. As for a slower fall, you can use from 3/16 to ¼ ounce weight for dirty or unclean water. but if you’ve just started fishing with worms, then first try with a 3/16 and ¼ ounce weights. If the environment is windy or the fish don’t seem to bite, then you can also push it up to 3/8 ounce so that your bait sinks faster to the bottom. Although it may seem surprising, the fish that you catch might actually be strong enough to be able to break the fishing line. For this reason, you should always be prepared from beforehand and use strong lines that won’t break so easily. A monofilament fishing line or a braided one that has good flexibility and is strong enough has a very good chance to help prevent such accidents where a fish breaks or snaps a line. Other than that, you should also bring extra lines just like you should with the rods. If you want to prevent any accidents from happening, or any emergencies where your fish snaps your line, you can at least make do of something if you have spare fishing lines. We have already talked about the hooks previously in this article. However, there are a few things that you should check on before you set out to fish for the day. There are certain fish that are known to struggle a lot when you catch them. Sometimes, if your hook isn’t right, they may also succeed to get away and break free from your grasp. To prevent such cases, always use a barbed hook so that the fish can’t easily loosen itself from the grip and break free when you start to pull it in. In addition to that, you can choose to use several hooks together. Some fish are actually very clever and tend to avoid hooks altogether. At other times, some fish choose to feed together in groups, an example of which could be carp. When you use a different hook each time, you are actually making sure that you catch any fish at all. If the fish chooses to avoid one hook, it will definitely fall for the others, and so on. When selecting hooks, don’t simply pick colors on a random basis. Stick to matte and dark colors such as black for waters that are muddy or has a lot of covers. If the waters you chose to fish it is clear, then you can also use golden hooks, but only do so if your bait is also of the same color as that way it’s easier to trick the fish. Reuse A Torn Bait-You might not realize but there is a possibility that your plastic worms can get bitten too many times and eventually be torn into bits. When that happens, remember that it is still not a waste as you can put a torn worm into good use in water that is shallow. So, don’t throw them away and instead save them for later use. It is possible to trick your fish with a torn up worm bait, fake or otherwise since fish take the torn up worm to be a real worm and can’t really tell the difference. Use Red- when choosing a bait, always go for the red color. This is especially useful when it comes to water that has a huge amount of covers such as grass, or wood stumps. You can simply choose to use spinnerbaits with heads that are of red or pink color, or crankbaits that have hooks in red. The red actually tricks the fish as they tend to think that it is an injured little creature and will come closer or even take a bite out of it seeing how vulnerable it is. If you notice that the fish have stopped biting all of a sudden, then lower your bait further into the water if you know the fish are already there. Or, simply change the size of your worm says, reduce the size from a 7-inch to a 4-inch bait. Besides that, you can also change your speed a little as big fish sometimes require slower movements. Casting your rod is slightly tricky as it isn’t only about casting it further away or nearer. If you don’t want to scare the fish away, then make sure that you don’t cast your line directly at them as the noise from the bait will do exactly that. Meanwhile, if you’re fishing during colder temperatures, then you might want to cast more often. Since some fish move slowly in cold water, you might want to cast at different areas to get a better catch, instead of remaining at the same place.